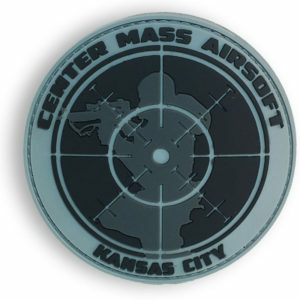 Center Mass Airsoft enjoys the outdoors and the adrenaline rush of simulated combat. If it has anything to do with Airsoft, this team will like it. Based in Kansas City, CMA helps maintain a field right within city limits! And though the team loves playing in the 30 acres of forests they’ve made their Airsoft home, the team members are always branching out across this state AND others to find those sweet Airsoft locations all operators dream of slinging plastic in. 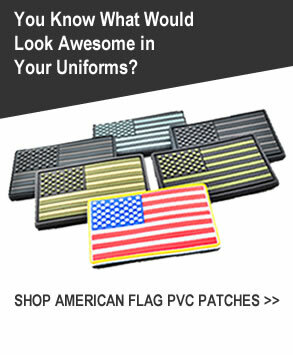 Join the many law enforcement and milsim tactical teams who trust us to manufacture their PVC patches for their team’s uniforms, with quantities as low as 100 pieces, you can get your design turned into an amazing PVC patch in a month or less. Just click the Free Quote Request Button on the top of the page and get started today!.